"Creating Referral Success: How to Build Quality Referral Relationships"
The easiest and most effective way to grow your customer base is through referrals. To have referral success, businesses must first build committed relationships with their existing customers and strategic partners, then execute a range of referral techniques. Joe will share the four key attributes of quality referral relationships and a variety of tactics to drive better business opportunities. 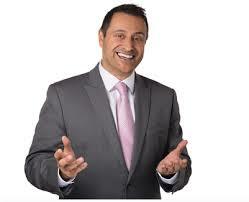 Guest presenter Joe Micallef is an award-winning, International Sales Strategist and Coach with over 25 years business and sales leadership experience. He has been recognized throughout his career for his strategic, charismatic and collaborative approach to achieving exceptional results. He has held senior management positions in Australia, Canada and the USA developing an intrinsic knowledge and understanding of global sales markets. This valuable experience has ideally positioned Joe to share insights on universal best practices for achieving sales success.